These co-extruded pots can be used over and over again. 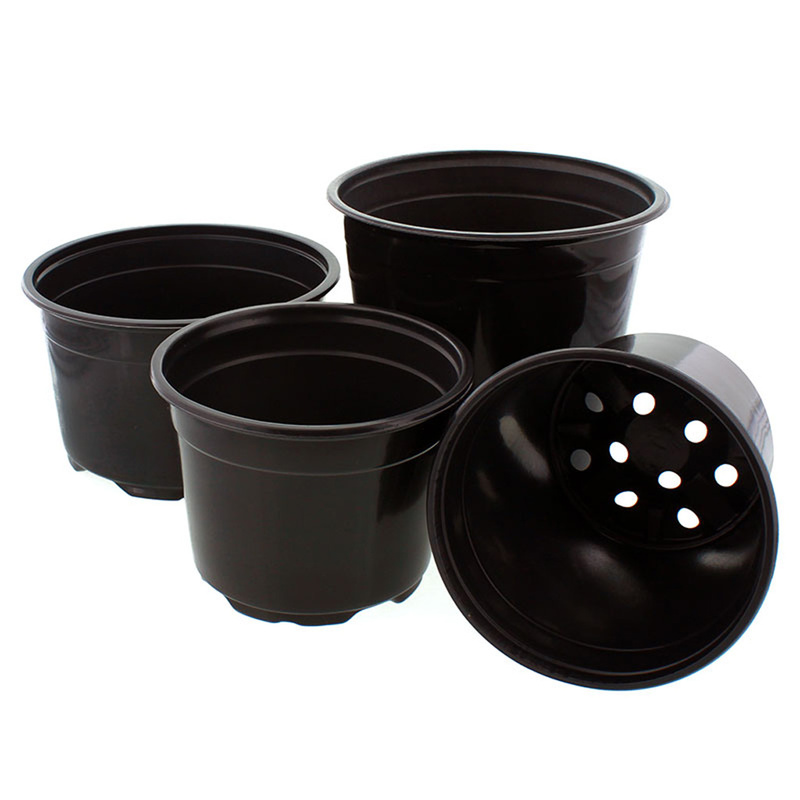 Metric sizes ideal for perennials and annuals Tri-level bottom drainage Heavy duty rim Made from durable polypropylene material Specifications Description Outside Diameter Height Volume 15 cm Short, Black 6" 4-1/4" 1.37 qt 15 cm Tall, Black 6"
These co-extruded pots can be used over and over again. Pleased with potting containers. Will definitely get more than one use out of these. Great pots for my agave project! The Euro-1 Gallon Pots are exactly as described and very good to work with. Perfect for potting up lots of hostas! The pots are better than I was expecting for the price. I am very pleased with the product and will order them again. Very pleased with the quality of these pots which I will be using for my annual perennial sale in the spring. I got exactly what I was expecting and was very pleased with the reasonable shipping cost. The tracking was great and arrival time as expected. I have a part time hobby Blueberry business and pot up and sell hundreds of plants every spring and fall. 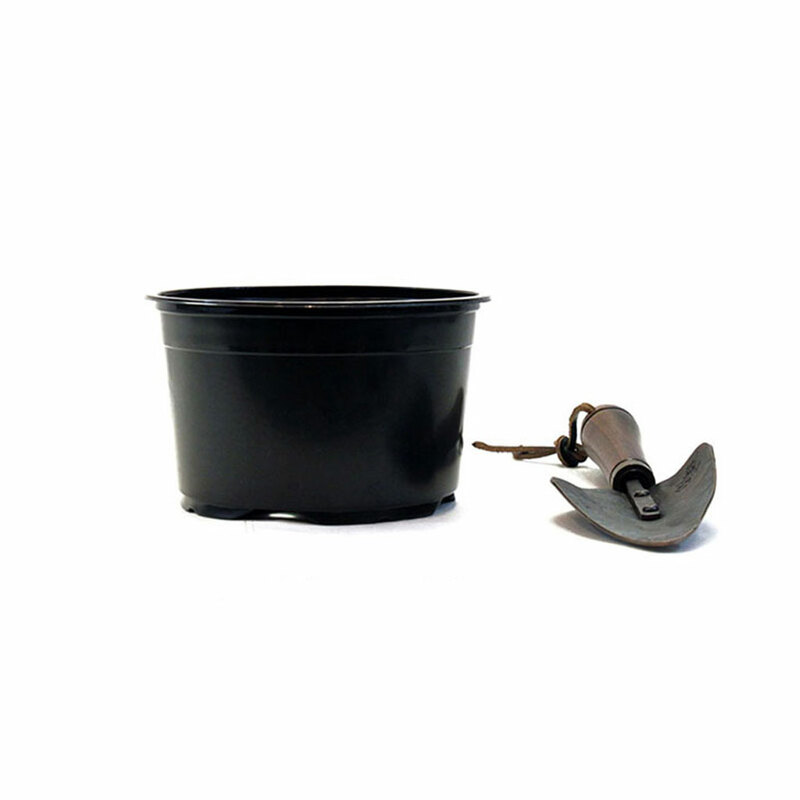 These pots are very inexpensive and work well for 2-3 year old blueberry plants. These pots will hold up fine for a year or two before I sell the plants. But you need to be a little careful with them as they are not built to last forever. I have searched far and wide and these are the cheapest pots I could find anywhere and well worth the purchase price. These pots were extremely affordable and good quality. Money well spent. This light-weight, compact rots are durable, easy to destack. I am using it as a pot before final transplant. The shallow pot promotes horizontal spread of root. I am very impressed with this pot, I am using it to grow on some ferns, and so far I am extremely pleased. I like this pots, they are a little smaller than on gallon. Love them. These are perfect pots for young Adenium. I wanted a shallow wide pot and these fit my requirements. I fo wish these would come in larger widths. Been using these pots for 3 yrs. They are priced right and hold up great in the elements.. I order the 17cm tall which are similar in volume to the trade one gallon containers, but they are squat and are far less likely to tip over. I've been re-using some pots for a year or two and they don't seem to be wearing out, despite the thin plastic. Fast shipping. This product was just as described and exactly what I needed. It arrived quickly and I would not hesitate to order again from this company. I had never heard of this company before, but was in dire need of this product. I have no hesitation in recommending both the company and the product and plan to order again. 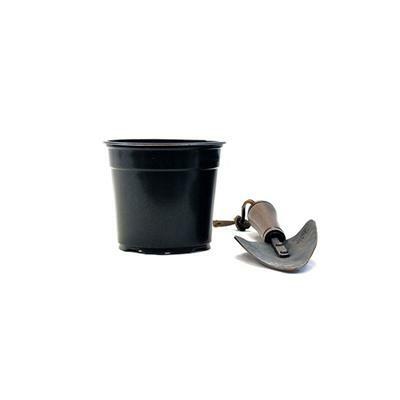 Works great for propagating all types of plants and trees. Pots are great for their use. Arrived just in time and perfect size for potting up our plants. These pots are well suited for what I need. Good quality for what I paid for them. Great drainage & just the right size. Pots arrived on time when promised and we're packed well for shipping. They are great quality and are priced competitively. 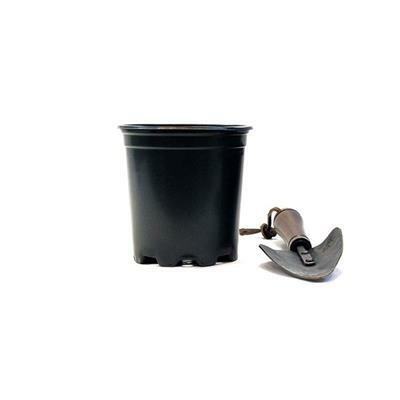 These pots are perfect to fit in a 6x6x6 box for shipping. Just what I was looking for. Thank you. I have been searching for pots that are suitable for bulbs and tubers. These will work.Fast delivery and good price. Good value. Just a little flimsy but I would buy again if you had them. I start tomato plants very early in the season to get the best possible jump on production before the Texas heat sets in. These pots are perfectly tall enough to graduate from the 3.5 or 4.0 pots. They cover a good part of the stem to allow for extra rooting. Good quality and tough enough to withstand the use from year to year. A good bargain pot but a little on the thin side. I'll order them again as I really like the size. I thought they would be a lot taller, besides that they are fine. 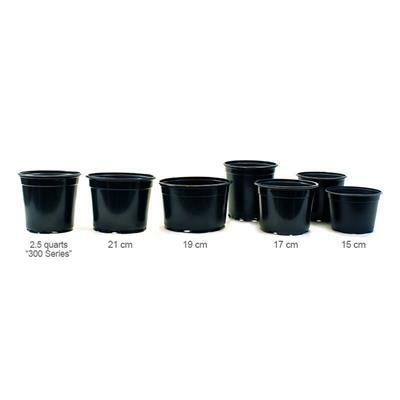 I purchased the Euro Pots-15cm Short, Black, 10/pack for a Holiday craft project for teens. They were perfect for the price. Easy to cut with scissors and held up well to hot glue. Received my order three days after I ordered and the pots are wonderful. I am verry pleased with them! I really like these pots. They are a nice size for my houseplants when I don't want decorative pots and they aren't flimsy. I got 10 of each size for up-potting. Great product at a good price and wonderful service as always. Good sturdy pot, fairly priced. Excellent customer service with fast and efficient shipping. They send them on time, the product was great and last for years. The quality, size and price made this a great choice. I am certain these will be reusable for years. I ordered the short 15mm euro pots and was happy with what I received. For the price, they are sturdier than I expected. I will order them again. I'm getting too old to dig in my garden as much, but I still love planting annuals for that burst of color. So I bought a big bunch of these wide pots to put several annuals in, then hide them among the greenery of ground cover (periwinkle). I love that they're black so they're invisible from a little distance. It looks like the plants are growing directly in my garden, but are much easier for me to plant in pots.I bought these pots before in a smaller size, so knew what I was getting. They're just like pots I'd buy a larger plant at my local nursery, thin and disposable to the nursery, but plenty strong enough to last fine in my own garden for multiple years. And at this price I can buy as many as I want. Plus, they all nestle together in a neat pile in my garage at the end of the season. What's not to love?! And great company! I've become a regular customer. It's ridiculous to spend at even cheap stores like Walmart when everything is so much cheaper here, and good quality for my uses. Exactly what I wanted, and needed. Priced just right. Excellent pots at a great price. Appear to be durable. Fast and low cost shipping. Great for dividing hostas , daylilies and many other planting needs. I would recommend these pots. They were exactly what I was looking for and they are a great price. They are holding up well. Quality & size was fine for what we need them for and we were able to use these instead of the usual ones we order, which were out of stock at the time. Each of the products, the 2.5 pots, the plastic I.D. tag & the marker were a good value. The markers have saved me a lot of trouble, and they help customers who are buying our plants. What a great deal. These are perfect. I can even dress them up as I would like and if they get stolen, well that just says that someone likes my gardening, choice of pots, and craft skills. These are amazingly versatile. This pot is just the right quality and available size and price I was looking for. I am so happy with my purchase and what a wonderful deal, than you will only order from your company from now on. So glad I discovered you. Margie from Nevada.. The pots are exactly what we needed for our science experiments. The price was the cheapest we found on the net. 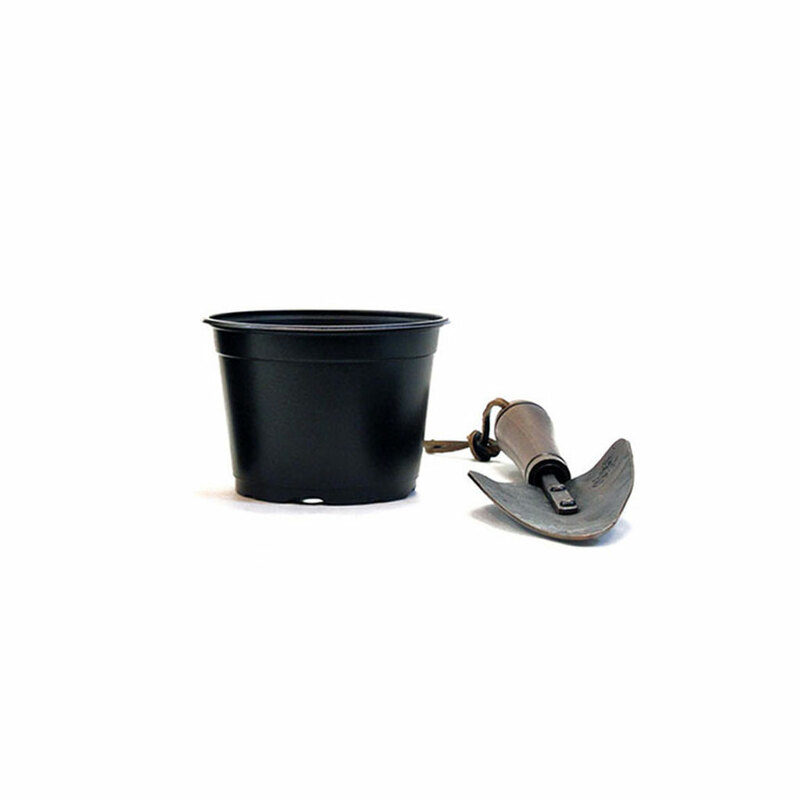 Pots are not cheap, but the 17 cm tall box of 294 I just got will be perfect for small blueberry plants. These were the best price I could find and the pots stack well and feel nice and sturdy. I hope to buy thousands more as my business grows. Very impressed, not only by the product (and I've purchased other items) but by the prompt and courteous customer service. Top class! Excellent pots, excellent prices. I got them to grow my pepper plants in. They are working out wonderfully. Shipping is super quick and reasonable. I will keep buying here. Love these pots, perfect for the price. Can't wait to be able to order more. Very fast shipping to our door in two days. Thank you. THEY WERE DELIVERED FAST, THE POTS SERVE THE PURPOSE SO O'M HAPPY. THATS ALL THAT MATTERS. My euro pots were promptly shipped and exceeded my expectations. Couldn't be happier. Great durability and they have lasted well outside with the cold weather of late winter and the warming as it is getting closer to Spring. Definitely happy with my purchase! They were perfect for my situation. They hold a lot of soil and are strong. Some may say they are a bit flimsy but unless you plan to throw them around they are plenty strong and I am sure I could re use them as well. Price is right too.They hold the plant in the pot til they are ready to be sold or planted .. works for me. They get the job done. A bit on the flimsy side when full. This product was exactly as described and was shipped within just a day or two of my order. I was very pleased with the whole transaction and thought I got a very good deal. Would definitely come back! I wanted a low profile pot for my cactus seedlings and these pots fit the bill. 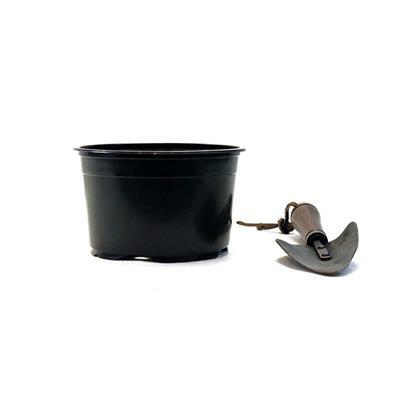 The walls of the pot are not strong and can collapse or rupture more easily than the usual black plastic pot. These pots are not very sturdy, and I expect them to last a max of 2-3 years. I am buying Kords next. Pretty light weight, as expected. Good deal for the price. I like the size of these pots I got--not too big nor too small. I like the shape and color. How do you say, I like a pot? I was extremely pleased with these pots. They are very good quality for what I needed which is repotting daylilies and herbs for sale. The price was fantastic and the order also arrived much sooner than I anticipated. Overall, this transaction was awesome and I would not hesitate to order again. I ordered 4 cases (almost 1200) of these after searching the internet for over two hours. These were the best price I could fine in the size I needed for tomato plant sales. I was a little nervous to commit to that amount without seeing them, but am more than happy with the quality, the price, and how quickly they were shipped here to the middle of Wyoming. (They were here the day before the estimated arrival time which was very reasonable.) Next growing season, I won't have to search around on the internet, as I'll go straight to this site. Very good - perfect size for perennials and small trees/shrubs. For the price you cannot beat these pots. I will be buying more shortly. This is my second case so obviously they are great.Fast shipping as usual. Id definitely recommend this to anyone. No complaints! As a grower I need value and quality, both in the products that I buy -- and I got it when I purchase the 17cm terracotta pots. They were exactly what I wanted - quality, quantity and price...I will be ordering all my pots thru you! Thanks Megastore! These pots are exactly what I needed. 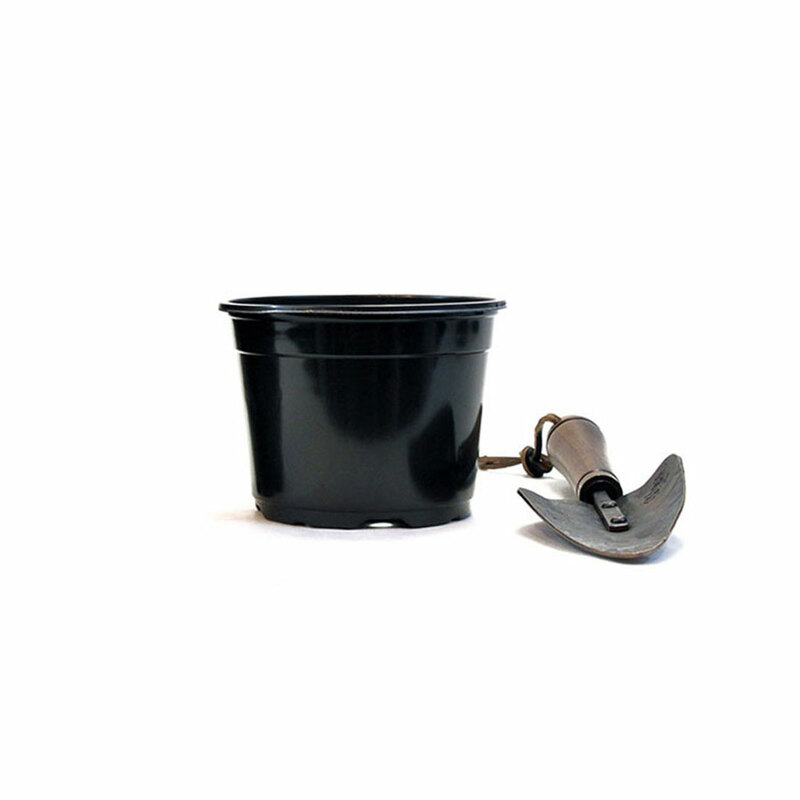 I propagate a lot of plants for our Garden Club sales and these pots are sturdy, attractive and the perfect size. I bought a case of the 1 gallon pots and they are great! Its a great price and the shipping was super fast! I will be definitely be buying another case of them. I love having these pots around. They make the perfect Iris pot. I like the terra cotta color, they do not burn the roots like the black pots do. Unbelievable speed in delivery and the Euro Pots are just the way I ordered them. Very happy with this company. Will buy again! Great product, rugged, good looking at a price you just can't beat. Great pots. Small amounts are just what I need for my gardening hobby! These pots are wonderful. They are inexpensive, look great, and hold up well. I have ordered these several times and will be back for more. This is the second time I have bought this type with a different style. They look good, appear to be durable, and are inexpensive in bulk. They also are quickly shipped. I am just a hobby gardener and I like to share or sell my extra perennials. 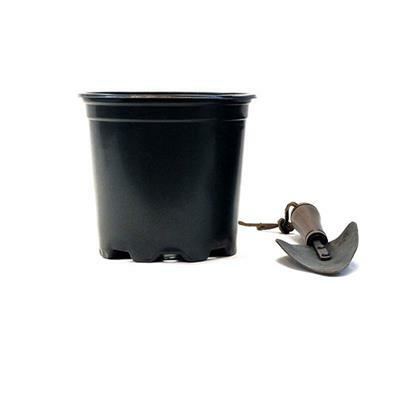 These pots are just the right size for medium perennials and the price is affordable. We are starting our own herb nursery this year (2010). This container has contributed to sales just by attraction value alone as well as the great benefits for plant storage and transportation. The containers don't overheat in the Oregon sun (we live in the high desert) like the black nursery containers. I searched for a container like I have seen the garden centers use and this is it.! I was happy to find it. The price was right. 2nd order, I really like these pots! Nice product. Been looking for a good economical pot. This one fits my needs nicely. I got the 17 cm pots to sell my tomato and pepper transplants at the farmers market. These pots are sturdy, have good drainage holes, and fit just right into the 17 cm carrying trays. These were what I was looking for and I would buy them again if I need more. Sturdy, good-looking, good price - can't beat those odds! I recently bought a case of the 17mm Euro pots, and it seems to be an excellent product. Don't expect a thick-walled plastic at this price - its actually fairly thin, but its relatively strong and the terra cotta exterior looks great. My only complaint is that there are no soil volume numbers given for these pots. The given external dimensions for the 17mm are very close to the 1 gallon pot, so I figured the volume would be similar, but the 17mm is a 1/2 gallon pot, which is not exactly what I was looking for. This is just what I was looking for. Something the right size and right price. I am using them for growing perennials for sale. Ordered a case of the 21cm Euro Pots, and they were delivered earlier than expected. All arrived in top shape. We like the look of the pot and are using for our mum cuttings as they mature over the summer for fall market. This is the first time we have ordered in a large quantity, but have found the pot sturdy and the color/appearance clean and a compliment for the plant. The price was very reasonable for the value. Just what we want for our business!